WELCOME TO SICILY HORSE RIDING! 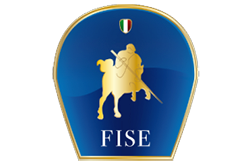 Sicily Horse Riding (SHR) was founded by a group of people with a special, close relationship to the land, the nature and their horses. For this reason, we organize our horseback riding, excursions and trekking of few days with the utmost care and attention to the smallest details. It is goal through the sustainable and responsible equestrian tourism to promote the marvelous places of this beautiful island, world wide. Places that most people never knew existed and which are not accessible with traditional means of transportation. We are located on Etna Mountain, the highest active volcano of Europe and this is the particular land that we want to give value to. We hope that we can give a hint of the feelings of the splendid landscape and amazing nature, through our pictures. It is an absolutely unique possibility to go for gallop on the beach, walk into the sea with the horses and later, in the afternoon have a walk on the snow on the slopes of Mount Etna on the edge of an ancient crater. Thanks to our horse-truck, we can go as a big group, almost everywhere, we customize the excursions trying to satisfy even the most particular requests of our guests.